If you’re looking to install or replace a garage door, it needs to be done right the first time in order to save time, money, and to ensure your family’s safety. 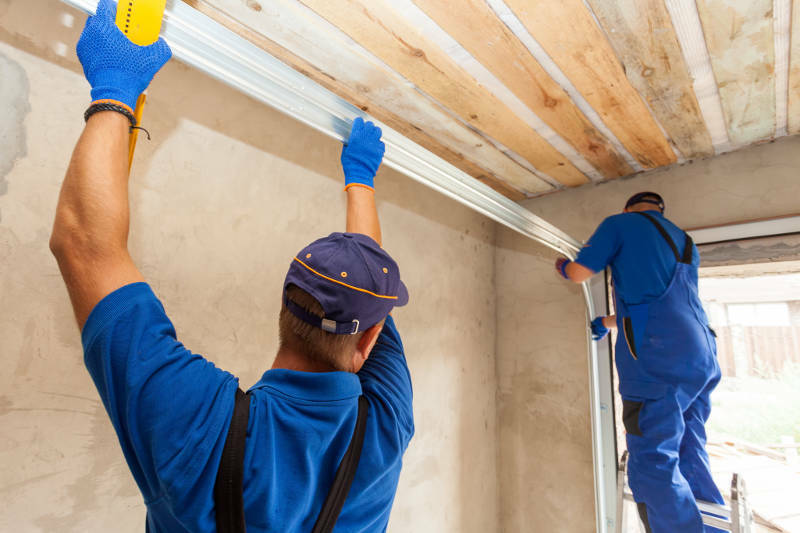 With that in mind, how can you be sure that the person or company you hire is the most trustworthy, skilled, and reliable garage door expert in town? Here are some suggestions on how to find the best garage door company in your area. It’s the age of the internet: every company should have a website. Don’t automatically cross the company off the list if their website is hard to navigate, or a little outdated. What’s important is that they have a website that defines their service area, what they offer, and how to contact them. You should also look them up on your social media accounts. Are they posting regularly to show that they’re currently in business and active in the community? Do their posts seem to put them in a professional and trustworthy light? Reading reviews is the follow-up step to looking up a garage door company’s online presence. While testimonials on the company’s website are great, you should also look at some reviews from independent sources. You can also check the legitimacy of the business by looking them up with your local government, to ensure that they’re in good standing with the state. Finally, do a Google search for the name of the company – good or bad, if their customers have something to say about them you’ll likely find out about it this way. However, if there are a couple bad reviews, look at the reviewer’s post history to find out if they’re always a dissatisfied customer, or if they really did have a bad experience this time. You don’t want to be on the hook for any liabilities, fines or repair bills. 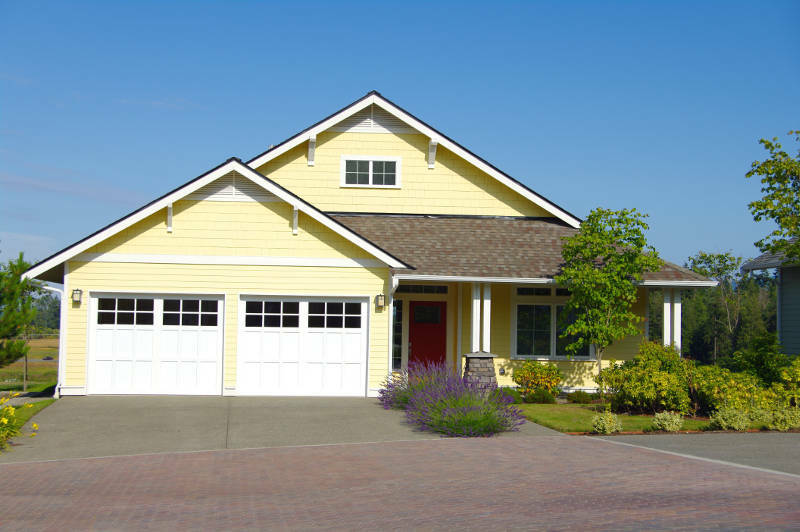 You should ensure that the garage door company you choose is up to date on all licenses, certifications, and insurance. They should be able to provide a business license, insurance certificate, and proof of membership or certification with the regulatory organizations in their industry. This will help you determine if they’re a legitimate business, dedicated to following all local codes and regulations, and protecting both themselves and their clients from liability issues. Does your friend or neighbor have an awesome new garage door? Ask them where they got it, who did the installation and if they were satisfied with the service. They’ll be glad to support the business by sharing their card or flyer with you. You can also crowd source online – you’re bound to at least have a couple friends of friends who can give a glowing recommendation. To be ready to select a garage door company, there are a few thing you need to truly understand. First, have some idea of what you want. It’s okay to ask the company for advice on what would work best, but you should at least know your approximate budget and what style of house you have. You can look at different types of garage doors online and see if there are any that stand out to you, then write them down. Next, you’ll need to write down the measurements of your garage door, or find a garage door company that measures for you. Be prepared to meet with a few representatives from the companies and receive at least two or three estimates before making a final selection. You know it’s smart to get at least two different bids from a garage door company rather than just going with the first one you see, but what should you be looking for? First, comparing the estimated costs will help you understand what the average rate is in your area, so you can get a fair deal. Second, find out exactly what’s included in that price. Finally, things like 24/7 availability, length of warranty, contractor vs employee and professionalism of the company may be factors that are important to you, so take them all into consideration rather than just picking the cheapest one right off the bat. Upselling is fine if the product or service is a legitimate need for the function and safety of your garage. However, you want to make sure that a garage door company isn’t taking advantage of your lack of knowledge. When a garage door company comes to your house, they should offer you a fair price which includes any features you you may need. They should be able to easily explain the benefits, over the long term, of replacing certain parts, not press or harass you if you choose not to purchase an additional item and be able to confidently provide you a complete diagnosis on the problem and help you understand the benefits, risks, and alternatives to your options from there. Since garage door installation is a fairly heavy-duty job, it requires tools, several hours of time, and a couple knowledgeable people who are able to lift and carry. You shouldn’t be installing your own garage door because one mistake can cost you a lot of time and money. Plus, it’s not safe if you aren’t a professional. You’re better off hiring a qualified garage door company to handle the installation for you. With these tips on how to find the best garage door company, you’ll be able to confidently sail through the selecting, bidding, and hiring process. Garage door installation is a project that needs to be done right the first time to ensure the integrity of your home, and now you know how to search your local business options to find the best person for the job, for the right price. Peoria’ best garage door company is Feldco – we’ve been serving the Midwest for over 40 years. In that time, we’ve helped over 350,000 homeowners with their home improvement needs, including garage door installation. Get a free quote now and start your garage door replacement project today.